Although the 2018 NAGAAA GSWS will set a record for the most teams in attendance — over 200 teams converging on Tampa the week of Labor Day, September 3-8 – the event doesn’t feel like just another big softball tournament. Even though it’s the largest LGBTQ single-sport, week-long annual event in the world to the outside world, to us it’s a homecoming and a chance to spend a week with friends. It has its big moments, including an Olympic style opening ceremony with 45-member associations’ flags being presented, sponsors and local officials speaking from the stage, food, beverages and live entertainment – all to kick off the week of events and tournament play. And teams still travel from all over the U.S. and Canada to participate in the annual GSWS for the opportunity be with athletic, like-minded people and play in a safe and welcoming tournament. 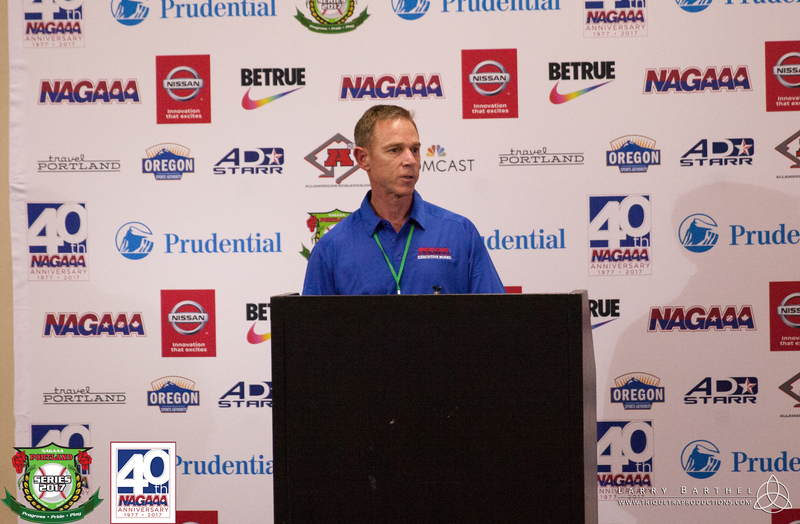 The tournament even has big name brands like Prudential, Nissan, Jostens, MillerCoors/Coors Light, Tito’s and many others that have continued to step up in support of NAGAAA and our marquee event, the annual GSWS. The biggest surprise for our partners when they attend the GSWS is the impact they have made on our community and the loyalty that comes with it. No matter how big the event gets, the Gay Softball World Series is a welcoming place where people can feel included for who they are and play some great softball, too. For most of the participants and fans, Tampa will be their last summer vacation destination; it will reunite old friends, build stronger bonds with chosen families and form new friendships. In addition to an opening ceremony, other events during the week include the Hall of Fame Dinner on Tuesday, the charity event on Wednesday, Friday Night Lights and the closing ceremony on Saturday. Come out and join us for some great softball and stay for all the fun events. I promise – you actually will be surprised at how well the tournament is run, how entertaining the events are and how welcoming the city is to NAGAAA players and fans. Support gay softball at the 2018 NAGAAA GSWS in Tampa. Visit gaysoftballworldseries.org for more information about this year’s event. Hosting the Largest Annual LGBTQ Softball Tournament Isn’t a “Soft” Job!